Ground Nuts /peanuts-250gms (Dry roasted and peeled) which are easily available in the grocery store. 1.Heat the non-stick pan,dry roast sesame seeds, cumin seeds and red chillies. 2.Mix all the ingredients and grind to a fine powder. 3.Add hot water to the mixture and grind again. 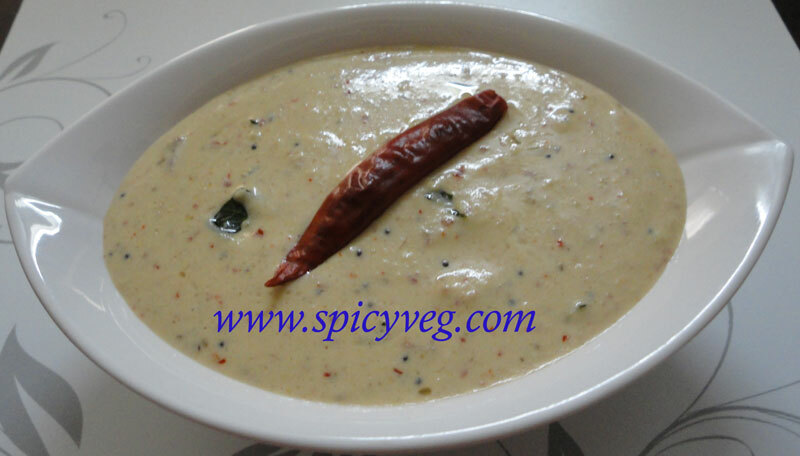 4.heat 1 tbsp oil in a pan add mustard seeds and curry leaves add to the ground mixture. Note: After grinding all the ingredients to a fine powder,transfer to a clean bottle and refrigerate (stay for 2-3 weeks).You can mix hot water tempered with mustard seeds and curry leaves and serve as chutney whenever is needed.Powder can be used as stuffing for vegetables like brinjal or bhindi.